Of course! You may cancel and stop your monthly subscription renewal at any time. To do so, simply go to the payment section in your account summary and turn off "Subscription Auto Renewal". 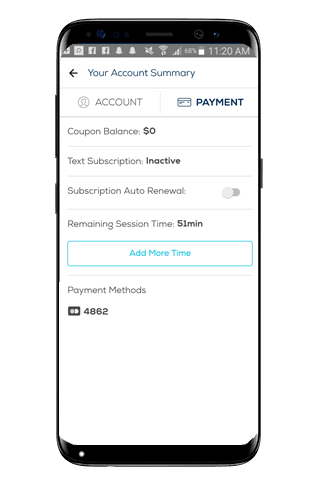 If you cancel your subscription before using the remainder of your monthly subscription text or video chat minutes, you will still have the opportunity to use this remaining time.